ADELAIDE coach Don Pyke expects prime mover Brad Crouch will get a pre-season game under his belt before the start of the premiership season. Crouch is being managed and won't play against Fremantle in the Crows' first game of the JLT Community Series at Strathalbyn Oval on Sunday. Fellow onballer Hugh Greenwood is also sidelined as he continues to build up his training loads after Achilles surgery in November, while second-year player Jordan Gallucci will miss with a minor foot injury suffered at training last weekend. 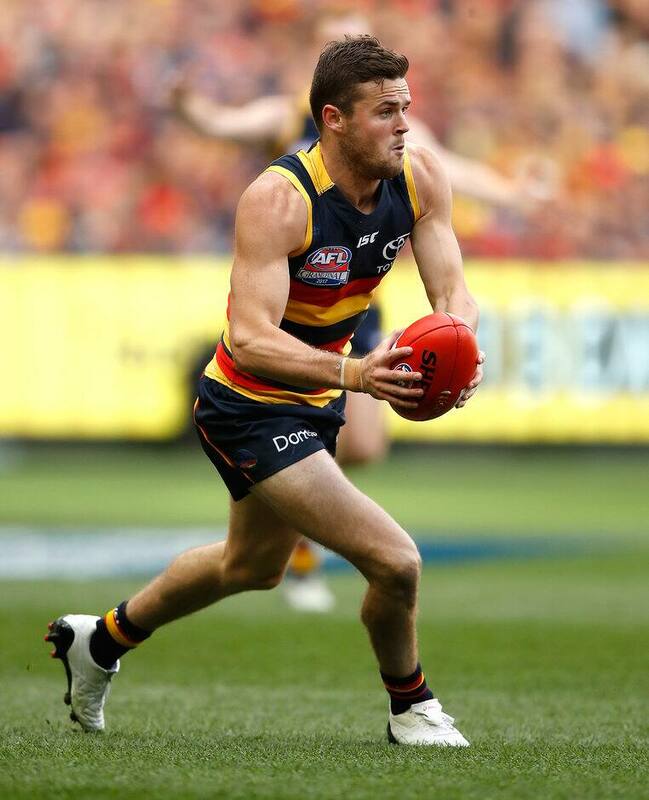 However, marquee recruit Bryce Gibbs will make his Crows debut after coming across from Carlton on a four-year deal at the end of last season. Crouch is coming off a career-best season where he averaged 28.1 possessions and 6.8 tackles, but most importantly he played 20 games after missing all of the 2015 season with foot issues. The 24-year-old also had hamstring issues this time last year, starting last season in the SANFL before returning to the AFL in round five. "Hugh and Brad Crouch have been on slightly reduced programs so they won't be playing and we'll manage them into the following weeks and into the season," Pyke said. "We look at each player and what they've actually done, their volume of work and what they're ready for as well as balancing off opportunity for some younger guys. "They're not quite ready for the full hit-out this weekend, but we expect they will be in two weeks." The Crows round out their JLT Community Series against Port Adelaide at Alberton Oval on March 10. It's their last hit-out before they open their premiership season away to Essendon at Etihad Stadium on March 23. Gibbs will play in both of the Crows' pre-season games as he gets used to his new teammates. "There's minor variations between the teams and how they play," Pyke said. "It's probably more the difference in language and terminology and some of the focus areas we have compared to Carlton. "The more opportunities he gets to play with guys alongside him that he's going to play the home and away season with, the better." Before his foot injury, Gallucci had been training with the forwards during the pre-season to slide into the role left vacant by Charlie Cameron's move to Brisbane. The 19-year-old was the No.15 overall pick in the 2016 NAB AFL Draft and played one game last year. Skipper Taylor Walker is on track for round one after returning to running after straining the plantar fascia in his foot, while Riley Knight (foot) and Brodie Smith (knee) are also unavailable for the pre-season competition. It gives several youngsters the chance to show they're worthy of forcing their way into the side. "It's about guys almost picking themselves," Pyke said. "That's the opportunity they now get over the next few weeks to push their claims and why you should pick me ahead of this guy. "The side sort of picks itself with guys who are going to play those roles and step up."